Uncorked: Cotton fabric designed to look like colored cork fabric. Metallic accents. 100% cotton fabric. We now carry Hemingworth Machine Embroidery Thread. 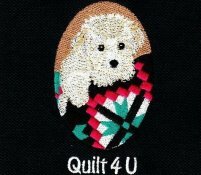 Quality embroidery depends on thread that is strong, vibrant, colorfast, and consistent. And that's what makes Hemingworth Thread so remarkable. Hemingworth combines exceptional thread with a clear protective cap and rubber stopper. This unique spool is designed to prevent unraveling and tangling. It delivers a smooth feed to your embroidery machine and protects your thread from elements that destroy thread quality. For decades, embroiderers have faced the challenge of effectively storing embroidery thread, and as any embroiderer can attest, unraveling and untangling are all too familiar and frustrating problems. The protective cap solves these problems. It preserves thread quality by blocking dust, oil and UV rays. The removable stopper traps the thread tail, preventing unraveling and tangling during storage. The cap also acts as a thread guide during the embroidery process. It provides smooth spooling and decreases snagging and thread breaks. Hemingworth Thread is a polyselect, colorfast, 40 weight thread, wound with 1000 meters per spool. Available in a large variety of 300 beautiful colors, Hemingworth has any hue you need to fill your thread palette, including variegated and metallic. In short, Hemingworth is exceptional thread on a revolutionary thread spool system. Sewing machine for sale: A customer has a Singer Featherweight 221 for sale. If you are interested please contact the store. We have it available here. We are starting a new block of the month in October. Little words of wisdom, to help us on our way. Sometimes all you need are the right words spoken at the right time. Join us for the Wisdom Block of the Month, a Common Threads original. This program includes inspirational sayings and quotes each month along with the pattern. The program stars in October and will run for 12 months. 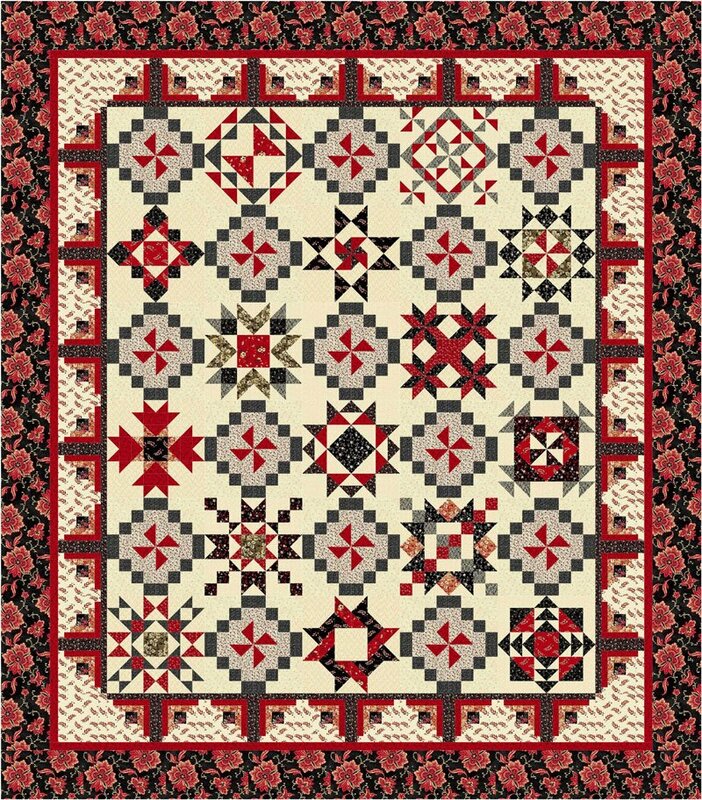 The block of the month includes the pattern and all the fabric for your quilt top and binding. The finished quilt measures 86 x 98. Cost is $19.95 per month. All participants have the opportunity to purchase any remaining fabrics at 25% off for backing pillowcases, pillow shams etc at the end of the program. If you want to participate, let us know ASAP as the fabric has arrived and we are now ready to order patterns and start cutting kits. August 18/19 Pickle Pie Embroidery Event - 5 projects, fabric kits and lunch included. August 23 Carol is offering another T-shirt sewing class.